English text is used almost everywhere. It would be the best if our system can understand and generate it automatically. However, understanding natural language is a complicated task. It is so complicated that a lot of researchers dedicated their whole life to do it. 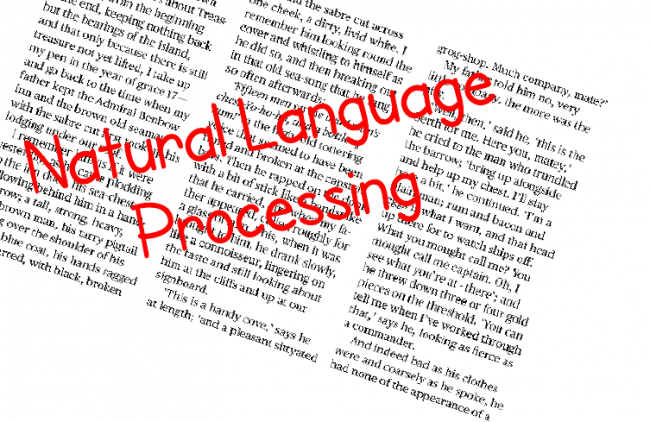 Nowadays, a lot of tools have been published to do natural language processing jobs. The following are 8 tools that I have collected. I also verified that all of them are used by some applications at least once, so they are all runnable. Some of them from industry companies, others are from research institutes. It provide functions such as parsing, finding topic automatically, etc. ScalaNLP: Natural Language Processing and machine learning. Snowball: a stemmer, support C and Java. MALLET: a Java-based package for statistical natural language processing, document classification, clustering, topic modeling, information extraction, and other machine learning applications to text. Stanford Topic Modelling Toolbox: CVB0 algorithm, etc. Interesting tools. You may wish to check out Natural Language Processing APIs by Twinword.